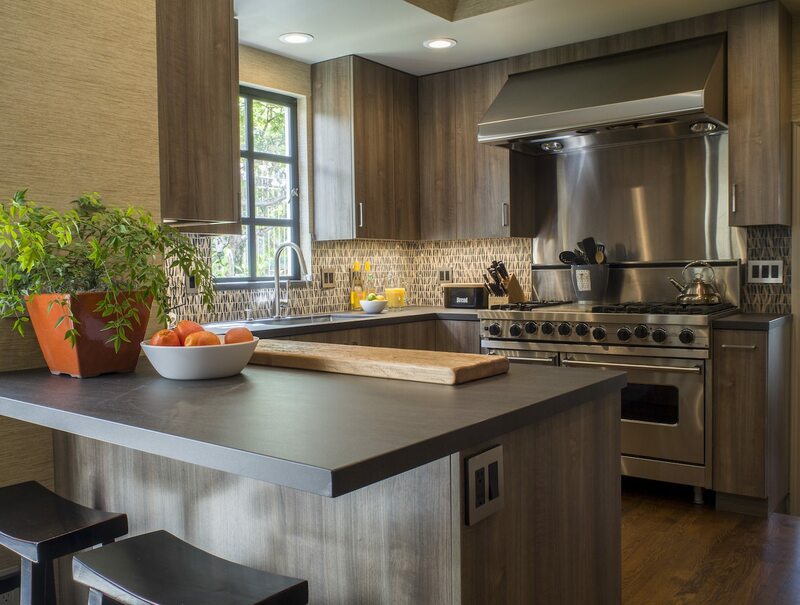 Domicile worked with Tres McKinney of McKinney Design on the kitchen remodel of her client’s Russian Hill condominium. 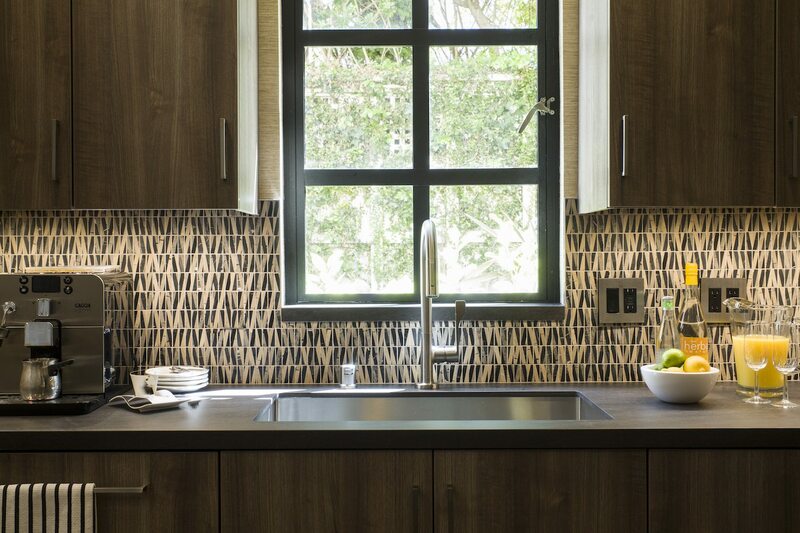 The contemporary kitchen uses a grain-matched, melamine of flat panel doors and drawers. 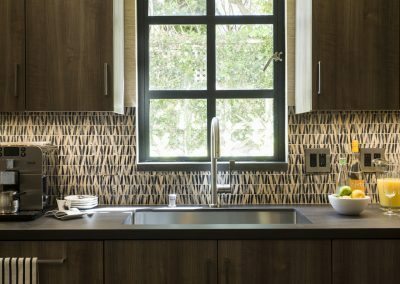 Countertops of Neolith ‘Basalt’ compliment the kitchen’s backsplash, a richly colored, mosaic ceramic tile. A 60″ Wolf range with six burners and grill stands under a commercial-style, wall-mounted hood equipped with heating lamps. 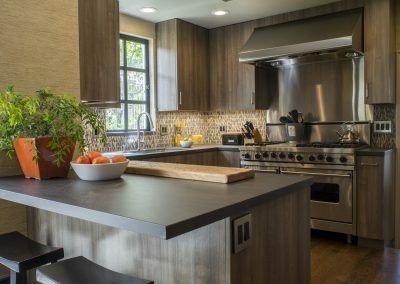 A custom stainless steel backsplash completes the ensemble.